Revolut, a digital-only bank and UK’s fastest growing FinTech, announced today that it has signed an agreement with ClauseMatch. Following a successful trial period, Revolut is adopting the innovative regulatory technology from a London-based RegTech to streamline management of internal policies, controls and regulatory compliance. Revolut has experienced significant growth since it was founded three years ago, developing within an extremely regulated environment. Europe’s fastest-growing FinTech player has over 3.7 million users across 28 markets in Europe, and is preparing to launch in the US, Canada, Australia, New Zealand, Singapore and Japan in the coming months. Revolut is currently working in multiple jurisdictions with different rules applied to financial services companies. And across these jurisdictions it faces different financial regulations creating challenges for a company taking compliance with extreme rigueur. The company’s CEO and Founder has noted that one of the main reasons the company was able to scale so fast is due to its serious approach to compliance. Revolut is signing up over 250 businesses and 9000 customers per day. The model of the business is super agile, much like the cooperation between Revolut and ClauseMatch. 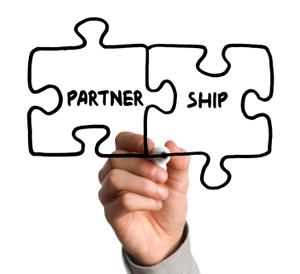 In fact, the trial period only took just a couple of months before the partnership was agreed. During this time ClauseMatch delivered the ability for Revolut to map regulations to policies and provide continued evidence of robust compliance with multiple regulatory obligations applicable to them in the jurisdictions where Revolut operates – a task that typically takes thousands of hours when done manually. “While many traditional banks are still largely addressing compliance in a manual way, employing thousands of people, FinTechs are making their way forward, quickly adopting new technologies to automate risk and compliance because they have nimble operations and no legacy. Revolut is an excellent example of such a company. We are extremely excited to partner with them, pioneering our regulatory technology and implementing new machine learning algorithms to automate certain aspects of their compliance. Revolut is already one of the main players in the financial services industry, and we are eager to help them with their global growth with state-of-the-art compliance tools.” – Evgeny Likhoded, ClauseMatch CEO and Founder, commented. Previously, in 2017, ClauseMatch went live with Barclays for policy management and compliance globally. The platform is currently being used by several global financial institutions.